French trains are the fast, easy and eco-friendly way to get around in France. The French rail network links all the major cities and towns in France while also linking up many small towns in rural France. With good planning, you can get around France just traveling by train. Generally, the trains are on time, comfortable and relatively cheap if booked in advance. Paris is very well connected with all France and thanks to TGV trains (Train à Grande Vitesse) it is possible to travel from Paris to the major cities in 4 hours or less. Gare du Nord is the main train station in Paris. 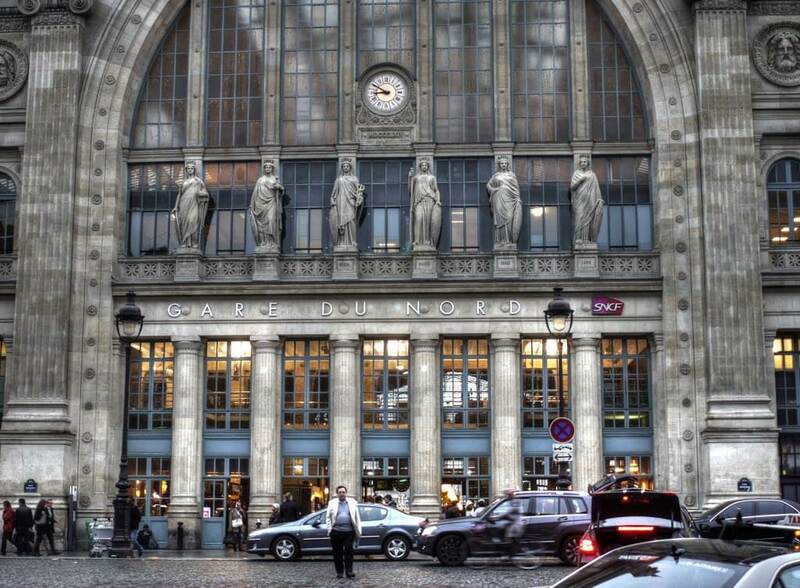 With around 214 million travelers per year, Gare du Nord is the busiest railway station in Europe. However, the city has other train stations and we tell you the main destinations served from the different train stations at the end of the post. Paris may be the heart of France but the country abounds in beautiful places worth exploring – many located at less than three hours from the capital. From ocean view hideaways to small towns near Paris, fun day trips by bike, or wine tasting trips, there is something for every taste and budget not far from the City of Lights. More than ever, people planning a trip to Paris are happy to block a couple of days in their Parisian agenda for exploring the surroundings and find a French adventure of their own. NOTE: All the destinations proposed here below are very easy to reach by train, with a train journey of 3 hours maximum. 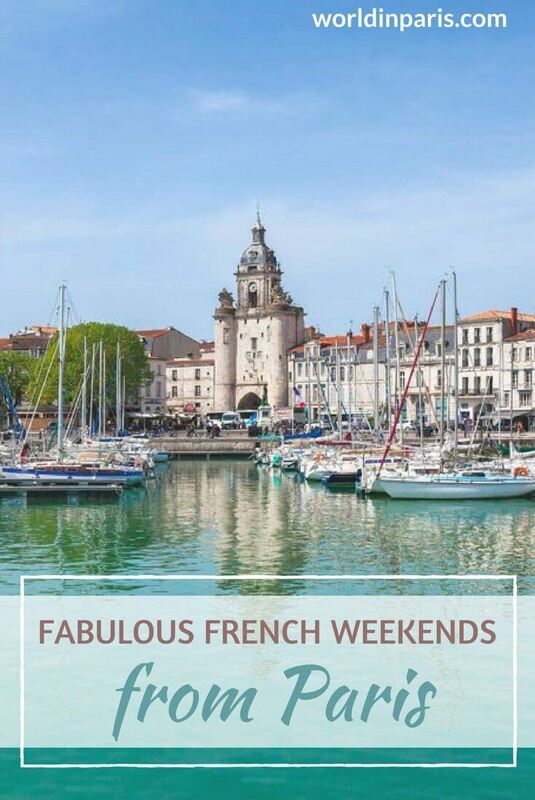 These towns or cities to visit in France are great destinations for weekend trips from Paris or 2-day trips from Paris. Located by the River Seine, Rouen is the administrative capital of Normandy. Nicknamed “the city of 100 bell towers”, Rouen has a rich history, interesting museums, and good gastronomy. Rouen is one of the most beautiful short trips from Paris. Due to its short distance from the capital (126 km), many people visit Rouen on day trips from Paris but this is a city that deserves more than a few hours. Notre-Dame Cathedral in Rouen is one of France’s Grandes Cathédrales and a jewel of gothic architecture. This is Monet’s beloved cathedral, the one that inspired his “Cathedrals” series. Rouen owns one of the most beautiful medieval centers of France. Get lost in its pedestrian streets and admire its beautiful timber frame houses. Rouen’s Old Market Square was the place where Jeanne d’Arc was burned alive and a visit to the History Museum is a good opportunity to know more about the Saint Patron of France. 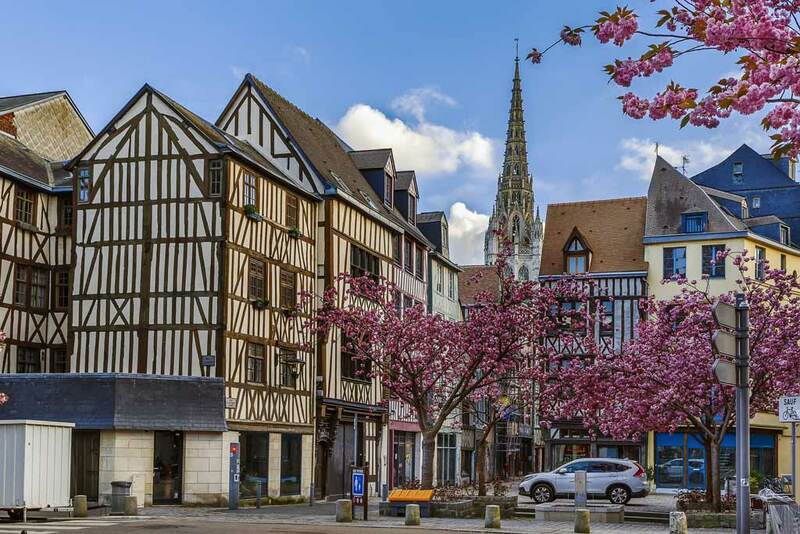 Last but not least, enjoy Rouen’s gastronomy, visit its various markets displaying delicious local products and taste some of the city’s specialties, and in particular, the seafood. OUR TIP: Rouen is easy to combine with other places related to Monet like Giverny or Etretat. Rouen is located at 126 km from Paris. Paris to Rouen by train is very easy. Trains Paris to Rouen leave Paris Saint Lazare Train Station hourly. The journey takes 1h 15 min to 1h 45min, depending on the train. Click here to check the train schedule to Rouen. Lyon, the third largest city in France, is one of the top cities to visit in France and of the best weekend trips from Paris by train. The city is well known for its quality of life, a beautiful heritage from Roman times to Contemporary architecture, and good gastronomy. Lyon is one of the most interesting cities in France, with many things to see and do. Fourbière Hill offers beautiful panoramic views of the city and it is a great place to start your visit. 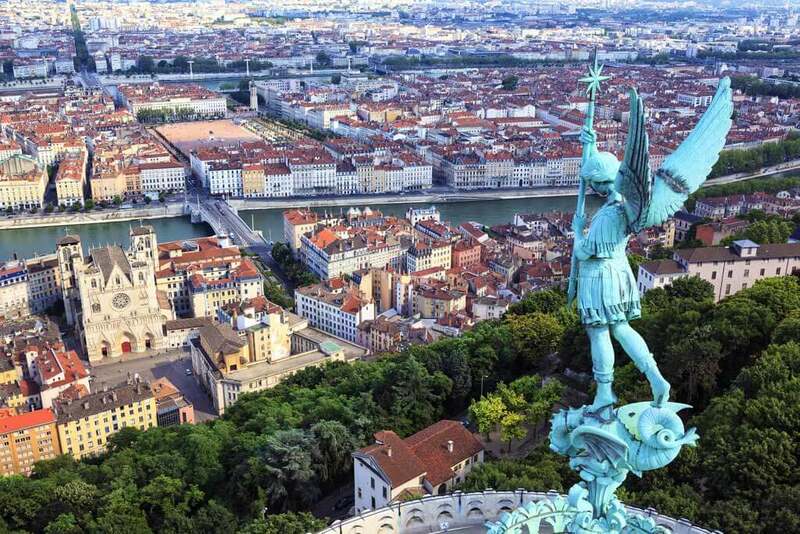 Explore le Vieux Lyon, the city’s historical center and its beating heart, with interesting medieval and renaissance architecture and a nice atmosphere. After getting a taste of Lyon’s infamous cuisine, it is time to head to la Presqu’Ile (Lyon’s river-bound peninsula) for more beautiful architecture and some nice shopping. A weekend trip to Lyon is also a great opportunity to explore some Côtes du Rhône vineyards or Beaujolais vineyards so if you have an extra day in the city don’t hesitate to book a wine tour around. If you happen to be around Lyon in December, don’t miss Lyon’s Festival of Lights on 8th December, this is one of the most beautiful festivals in France! OUR TIP: get the most out of Lyon and save money with Lyon City Card, with admission to 21 top museums, unlimited public transportation, free guided tours, and river cruises and more. Buy your Lyon City Card for 1, 2, 3 or 4 days! Lyon is located at 463 km from Paris. Paris to Lyon by train is fast. Trains Paris to Lyon leave Paris Gare de Lyon hourly for a journey of around 2 hours, depending on the train. Click here to check the train schedule to Lyon. The former French region of Alsace (today part of Grand Est Region) is one of the most beautiful places to visit in France and Strasbourg, its capital, could not be the exception. 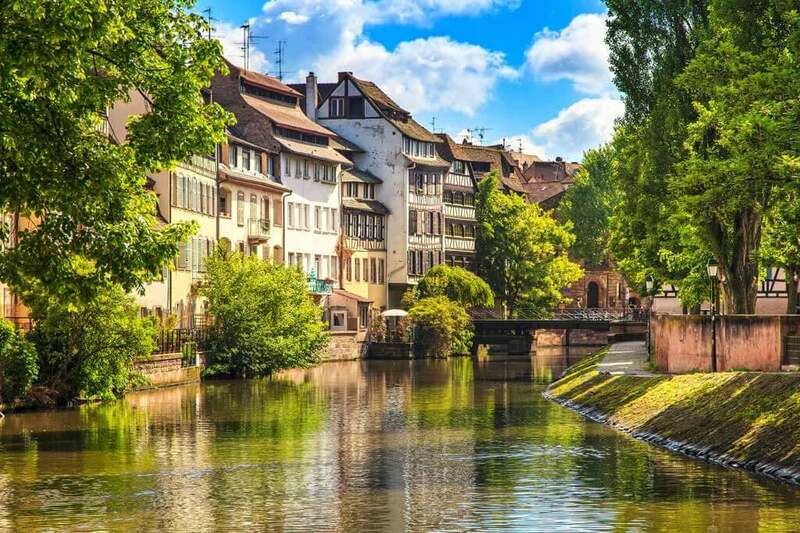 The city of Strasbourg is one of the best weekend destinations from Paris, with an interesting culture and architecture blending German and French influences. Strasbourg is one of Europe’s most attractive cities with its whole historic center listed as Unesco Heritage site. Strasbourg’s cathedral is one of the most impressive Gothic cathedrals in France and from its bell tower, if the sky is clear, you can see the Vosges and the Black Forest in Germany! Also, Strasbourg is the home of international institutions like the European Court of Human Rights and the European Parliament, both buildings with interesting contemporary architecture. Don’t leave the city without getting a taste of the Alsatian gastronomy and its excellent white wines. OUR TIP: Strasbourg’s historic center and main highlights can be visited in one full day. You can use your second day for exploring some charming villages in Alsace, like Colmar, Riquewhir and Eguisheim. Book your Highlights of Alsace Tour from Strasbourg! Strasbourg is located at 487 km from Paris. Despite the long distance, Paris to Strasbourg by train is a fast journey. TGV trains link Paris to Strasbourg in only 1 hr 45 min wich makes of Strasbourg one of the best quick trips from Paris by train. Trains to Strasbourg leave from Paris Gare de l’Est. Click here to check the train schedule to Strasbourg. If you love wine travel, Dijon is probably one of the best places to visit in France. 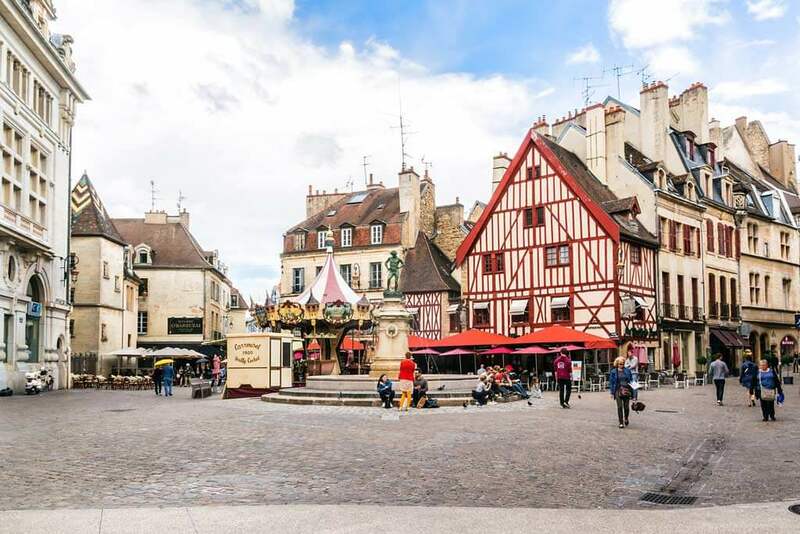 Dijon, in the heart of the Burgundy region, was the home of the Dukes of Burgundy and it’s a city with an interesting history, beautiful medieval architecture, tasty local products, and good wine. Dijon’s historical center is like a trip back in time with the impressive ducal palace, medieval architecture and religious buildings. Dijon is also known for its mustard, the best mustard in France!, and other local goodies like gingerbread. Being Dijon in the heart of the Burgundy region, world-famous for its wines, don’t miss the opportunity to do a Burgundy wine tour. Book your half-day Wine Tour of Burgundy! Dijon is located at 311 km from Paris. Paris to Dijon by train is really easy. Trains Paris to Dijon leave from Paris Gare de Lyon and the journey takes around 1 hr 35 min. Click here to check the train schedule to Dijon. 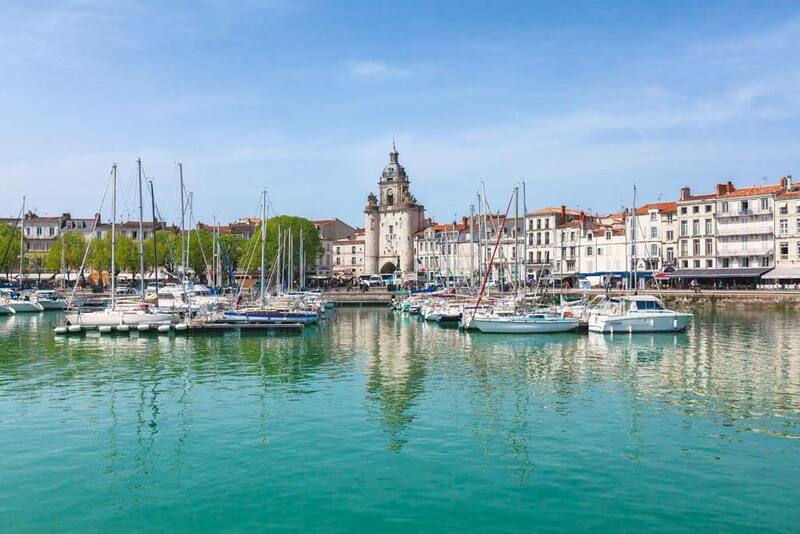 If you are looking for a relaxing weekend away from Paris, La Rochelle is the place to go. Known as La Ville Blanche (the White City) because of its limestone architecture, La Rochelle is a beautiful harbor city located on the West Coast of France and with a long trading vocation. La Rochelle has a long history and beautiful heritage. Enjoy the ocean breeze and the city’s atmospheric old harbor, with its charming arch covered streets. Also, La Rochelle is a great place to explore by bike, with long and flat rides along the coast and surrounding parks and marshes. Finally, don’t miss to visit the city’s beautiful markets and taste its local products, especially the seafood. OUR TIP: If you want to visit La Rochelle during the summer, book your hotel well in advance as the best accommodation is sold out very soon! La Rochelle is located at 469 km from Paris. Paris to La Rochelle by train is easy. Direct TGV trains to La Rochelle leave from Paris Gare de Montparnasse and link Paris to La Rochelle in only 3 hours. Click here to check the train schedule to La Rochelle. Chartres is one of the most interesting short trips from Paris by train, with many train connections a day. Chartres owns a cute medieval city center worth exploring again and again. With short train rides from Paris like this one, people tend to visit Chartres on a day trip from Paris but if you want to get the most out of the city or see Chartres’ Light Show, at night during the summer, it is a good idea to spend at least one night in Chartres. Chartres is best known for its impressive Gothic Cathedral, one of the Grandes Cathédrales de France and (like Amiens Cathedral or Saint-Denis Basilica-Cathedral) an important milestone in the evolution of Gothic Cathedrals in Europe. Last time we were in Chartres the building was under restoration so now we want to go back and see it without scaffolds! Apart from the magnificent cathedral, Chartres has a cute historical center with some timbered houses and beautiful parks inside the city and on its surroundings. The Gardens of Maintenon Le Chateau, for example, were designed by André Le Notre, the same landscape architect who designed Versailles Gardens. Finally, we want to walk the path down to the river Eure dotted with cute small houses, some of them with their private boats. OUR TIP: don’t miss the Cathedral’s mysterious labyrinth, found on the pavement of the western nave. Used in the XIII century by monks for contemplative moments, the path symbolizes the human journey from sin to redemption. The labyrinth can be clearly seen only on Fridays during the summer, when it’s not covered with chairs for church services, and pilgrims still come from around the world to walk on it. Chartres is located at only 89 km from Paris. Paris to Chartres by train is a very short trip from Paris. Trains Paris to Chartres leave from Paris Gare de Montparnasse for a train journey of 1h 15 min. Click here to check the train schedule to Chartres. Nantes, located by the river Loire, is today a young and dynamic city with an interesting history and lots of creativity. It is a city not well known by people who visit France yet, that’s why accommodation in Nantes is slightly cheaper than in other cities in France. We had so much fun in Nantes that we can only recommend it! Nantes is a very interesting weekend getaway in France. Traditionally an industrial city with the biggest shipyards of the country, its owners invested their fortunes in beautiful mansions and houses around the main squares of the city. Nantes was also the former capital of the dukes of Brittany and history buffs will enjoy their medieval palace and other buildings related to them. Jules Verne was born and raised in Nantes and some of his novels inspired Les Machines de l’Ile, found in the former shipyards on the Isle of Nantes. Finally, enjoy Nantes’ nightlife at Bouffay neighborhood, with little and narrow streets with many restaurants, quick eats and places to drink. OUR TIP: don’t leave Nantes without visiting the beautiful Passage Pommeraye, in Quartier Graslin, very similar to the covered passages of Paris. At #22 Maison Carnicol sells perhaps the most delicious kouignettes (traditional little cakes) of Nantes! Nantes is located at 385 km from Paris. Paris to Nantes by train is an easy connection. Trains Paris to Nantes leave from Paris Gare de Montparnasse hourly for a train journey of 2 hours. Click here to check the train schedule to Nantes. Do you want to add a little bit of Normandy to your France bucket list? Deauville is where Parisians go for a chic weekend getaway by the beach. Deauville is a great overnight trip from Paris, the perfect place to relax far from the hustle and bustle of the big city. Deauville is an upscale seaside town with a beautiful Normand architecture, a nice marina, and sumptuous hotels. Deauville has long been home to French high society’s seaside houses and is often referred to as the Parisian Riviera. Go to Deauville to relax, eat good seafood and do beautiful walks by the sea. Deauville is also famous for its American Film Festival (Festival du cinéma Américain de Deauville) in September and every year a couple of cinema stars come to Deauville see hello and promote their films. 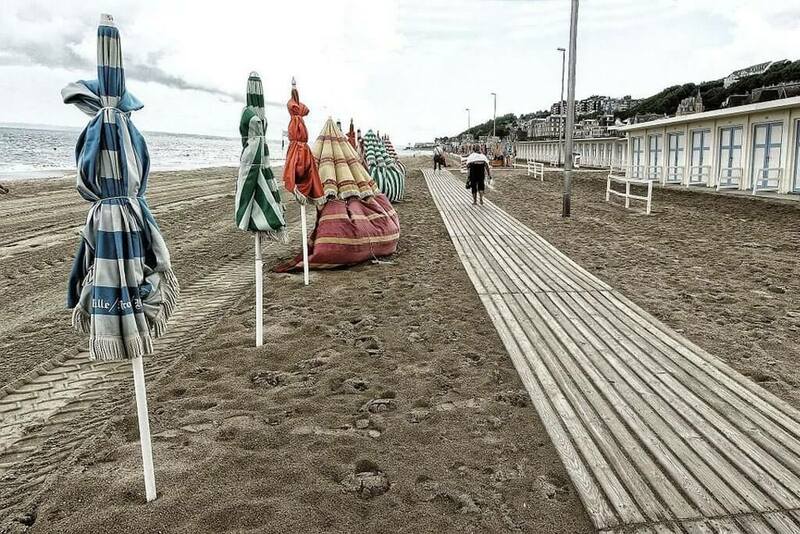 Don’t miss Deauville’s iconic “Promenade des Planches“, where beach closets are dedicated to famous actors and moviemakers that have come to Deauville. OUR TIP: accommodation in Deauville tends to be more expensive than in other coastal towns, especially during the summer. If you are traveling on a budget we recommend booking your hotel in Trouville (Trouville-Sur-Mer), the town next to Deauville, with better prices. Deauville is located 220 km West from Paris. Paris to Deauville by train is really easy. Direct trains Paris to Deauville leave Paris Saint Lazare train station hourly and the train journey lasts 2 hours. Click here to check the train schedule to Deauville. Here are some of the main destinations served from the main stations in Paris. Gare d’Austerlitz: Tours, Poitiers, Limoges, Bordeaux, Toulouse, Biarritz, western Spain. 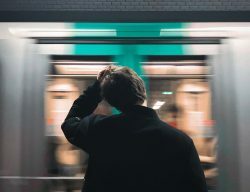 OUR TIP: you can follow the train strikes in Paris and France (if any) and the best tips to cope with them in this post. Did you like our list of the best overnight trips from Paris? 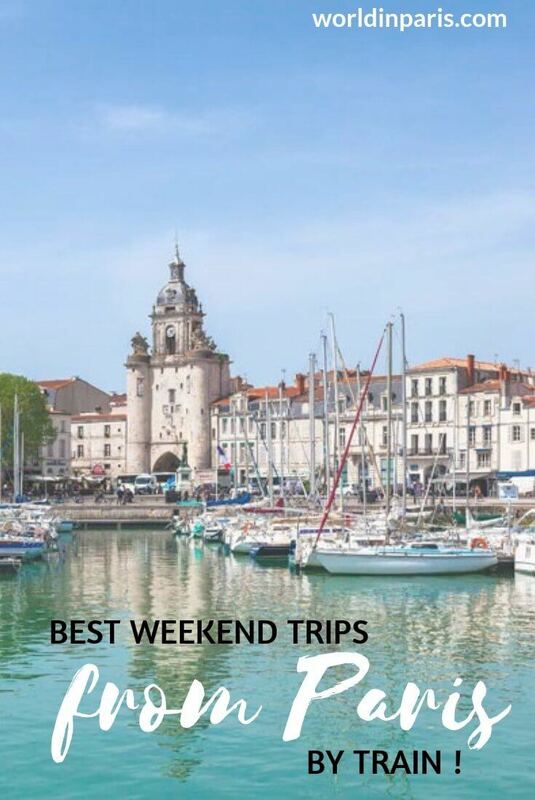 Which are the best weekend destinations from Paris? Reims was our favorite trip from Paris, and we spent a few days there getting to know this city (so charming!). We also visited Dijon and Strasbourg on the same trip and found tons to love there, too. Definitely need to visit each place for longer because there’s so much to do! Beautiful shots and great writeup!! Thank you for this! 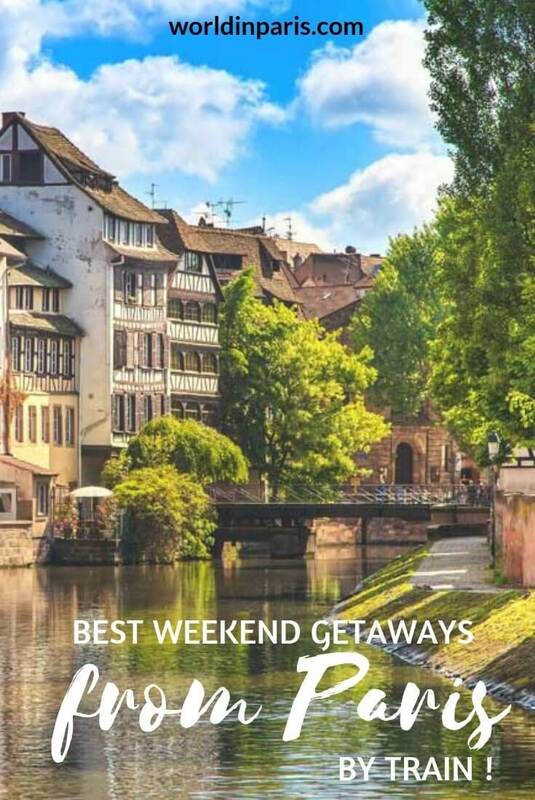 I didn’t realize that Strasbourg could be a weekend trip from Paris. I really like your blog and have shared it with others. I have always wanted to go to Lyon, but the other spots sound nice too! I am especially excited for the Gothic architecture and the charming streets! I think I would much rather discover France outside of Paris when I finally make it there. I want to go to Dijon and Lyon, for sure. They are known for the good food in their areas. 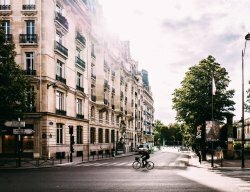 I agree that if you are based in Paris, they would be great weekend trips. I still haven’t been to France. But the towns like these are much more appealing to me than Paris for some reason! They look so quaint and beautiful! 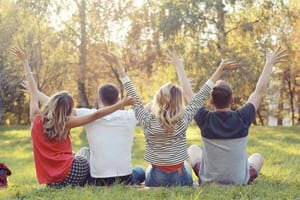 Nice to have a list of handy daytrips, really useful if you’ve moved to a city and have the weekends to travel! Wow!! I would of loved to know about this 3 years ago while I was there! I can’t believe I never thought about getting out of the city to the nearby towns!! it seems you enjoyed a lot your trip, paris one of the most romantic place. I would go there next year for honeymoon. Already i planned everything about tour and your posted article is really helpful, thanks for sharing your trip experience.